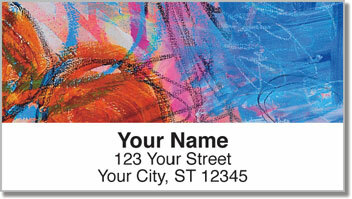 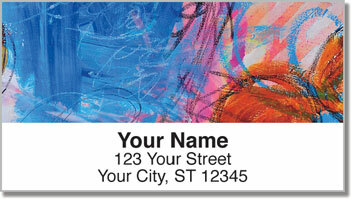 Embrace the gorgeous, flowing art of artist Dina Wakley on our lovely self-adhesive address labels. 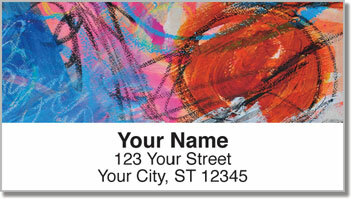 Using a free flowing, loose, and sketchy style, this art explores an abstract space while using a mix of sharply contrasting colors to set up a truly eye-catching piece you'll be proud to stick on your letters and envelopes. 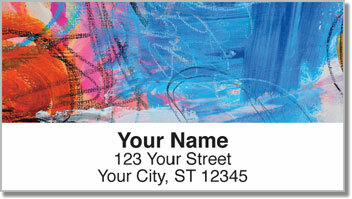 Peel, stick, and you're done with the sticky adhesive backing on the back of these address labels.